When we go down the history lane of the Venetian glass making, we see its recorded origin sometime during the 8th century. As years went by, Venice became an important trade center in the Mediterranean area. They had trade relationships with many countries and glass making was already advanced in some of the Arabian and North African countries along the Mediterranean coast, especially Constantinople. By the 10th century the Venetian artisans had mastered most of the glass making techniques from their trade partners. Thus they evolved to be master artisans in the area. They also had developed their own skills in the art. In short, Venice was on its way to conquer the monopoly of glass making industry of the world. 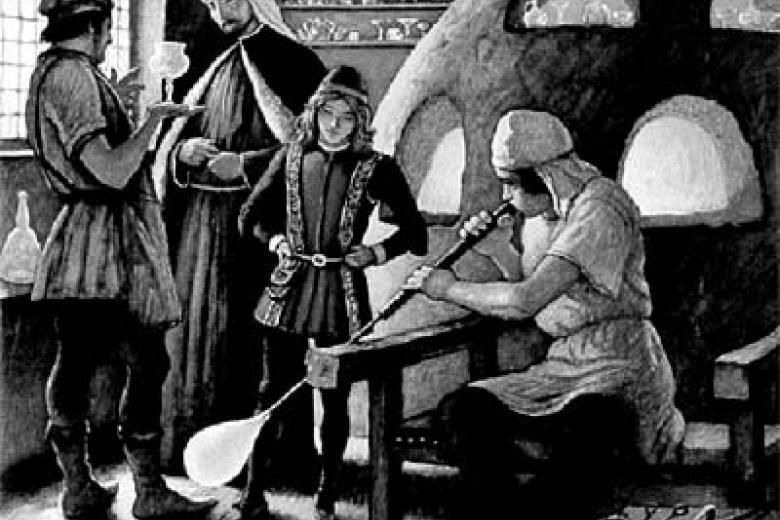 A major change in the glass making history of Venice occurred towards the end of the 13th century. 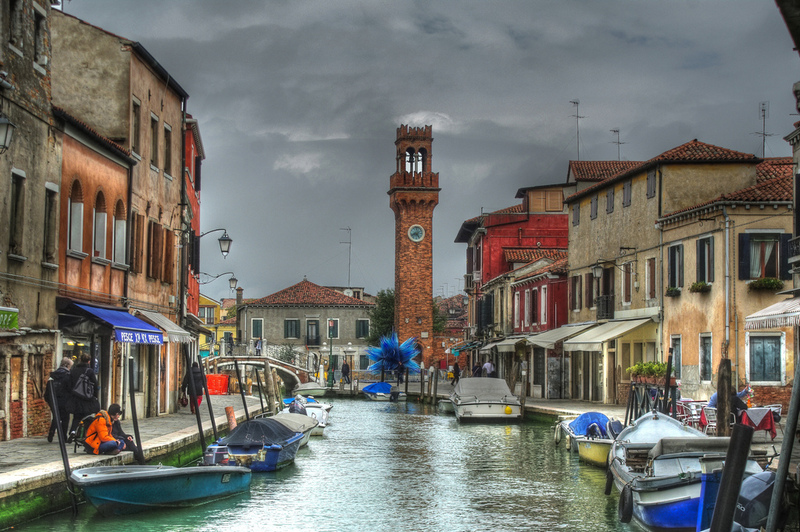 The glass industry was shifted by the Venetian government, wholesale, to the Island of Murano in 1291. It was done for fear of fire accidents that may be caused by the extremely hot furnaces of the industry. 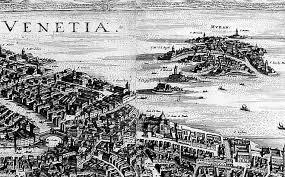 Most of the buildings in the main Venetian cities were made of wood at that time. But another more plausible view of some of the historians was that it was done to safeguard the secrets of the industry, which had begun to earn revenue and name for Venice. The artisans were held virtually prisoners on the Island of Murano. Their movement out of the island was highly restricted. All the same, these artisans were allowed all the freedom and extremely high status on the island. They were rich and highly privileged citizens. T he techniques of glass making were guarded jealously by the artisans and the tradition was handed over from father to son or master to his privileged disciple. This prevented the knowledge from being commonplace. 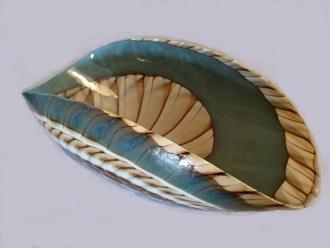 By this time Murano glass had earned a status next to no other glass industry. By the 14th century the magnificent and delicate creations were highly acclaimed all over the world and started to be considered as the main industry that gained revenue for Venice. But by the end of the 15th century some of the other European countries like France and Belgium managed to lure some of the Murano craftsmen to their countries and set up the glass industries there. 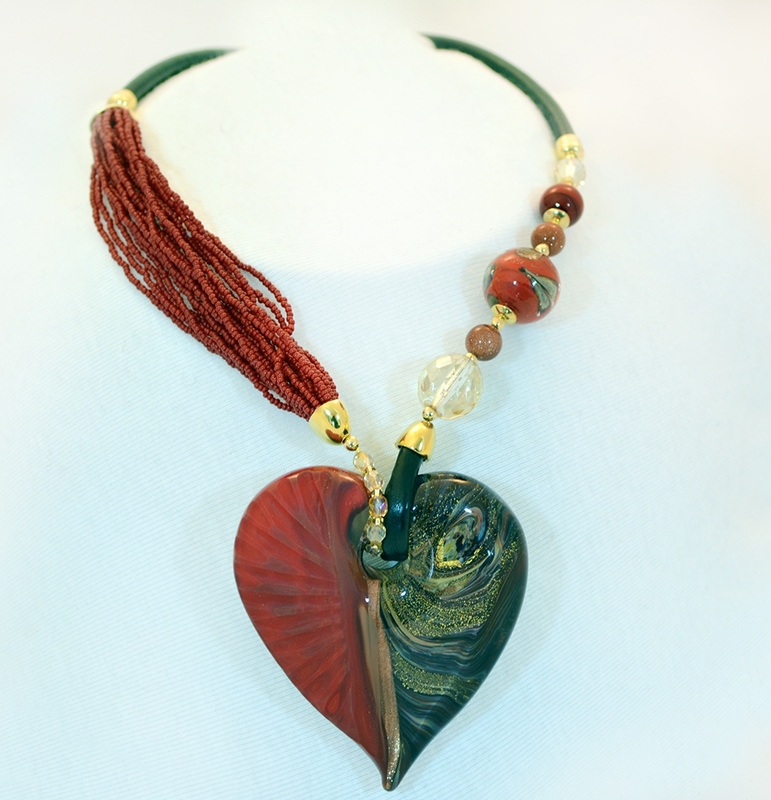 In 17th century the Murano glass industry suffered a temporary setback due to Napoleonic invasion. But it again sprang back to its renowned position by 18th century thanks to some new industrialists like the Toso brothers. Soon many others followed and once again Murano glass industry regained its old splendor with a lot of modernization and innovations in its techniques. 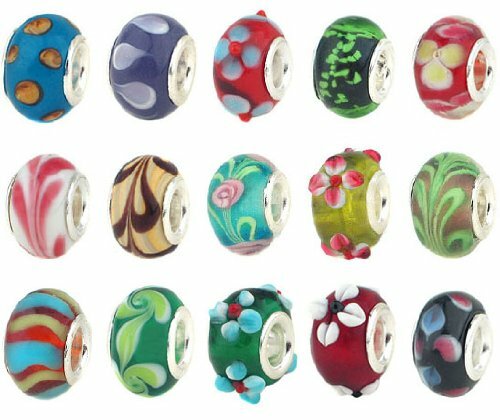 A t first the Venetian glass artisans made magnificent glass beads and later utility items like utensils, plates, mirrors etc. 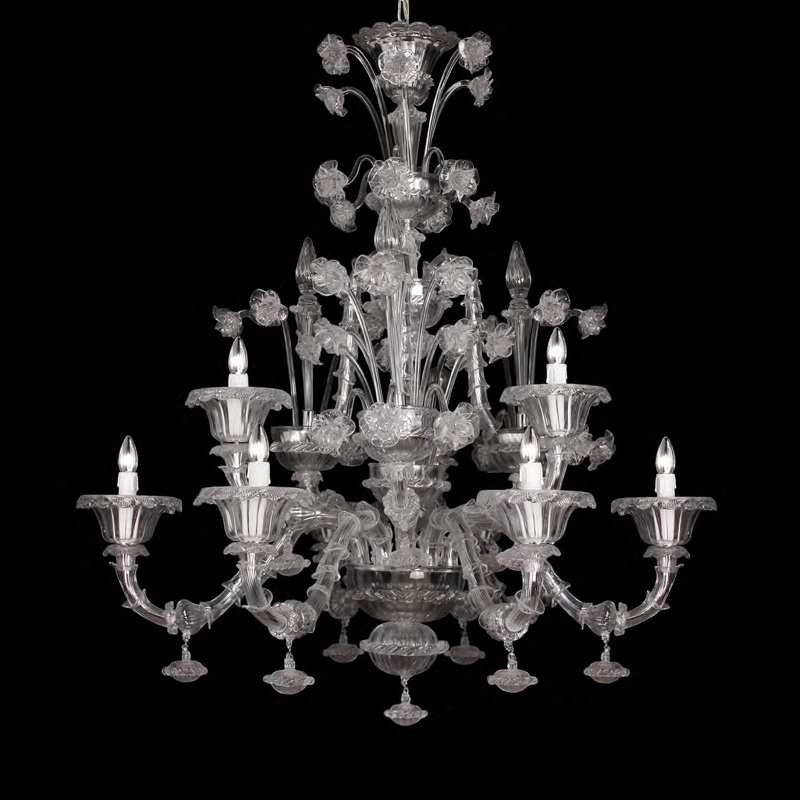 The Murano glass chandeliers were once valuable merchandises that gained much popularity for the Murano glass industry. But from the 18th century much innovation took place in the industry. A lot many articles like decorative items and ornaments came to existence. During the World War II the industry dimmed once again, only to recover soon. 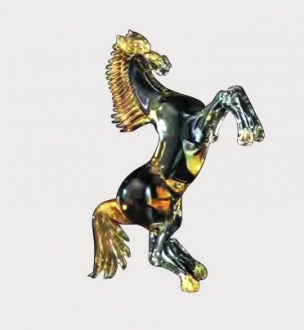 In spite of the occasional adversities, the glass industry of Murano succeeded in preserving the individuality of its art and till date Murano glass is made in Murano and all the other similar glass articles are called Murano style articles. 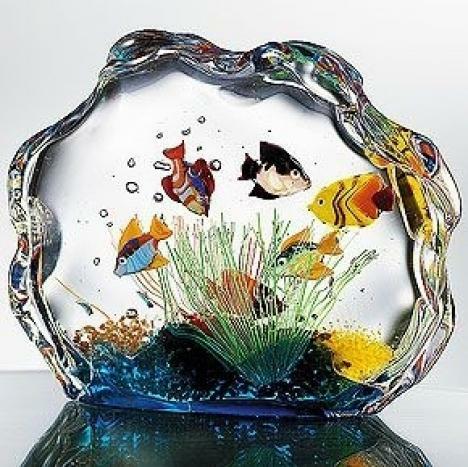 The authentic Murano art pieces are considered to be p rized collectibles all over the world.